Cats will get endless enjoyment out of this fun Cat Scratch & Play Post and it will keep them from scratching your furniture and rugs. It will satisfy their need to scratch and help sharpen their claws. 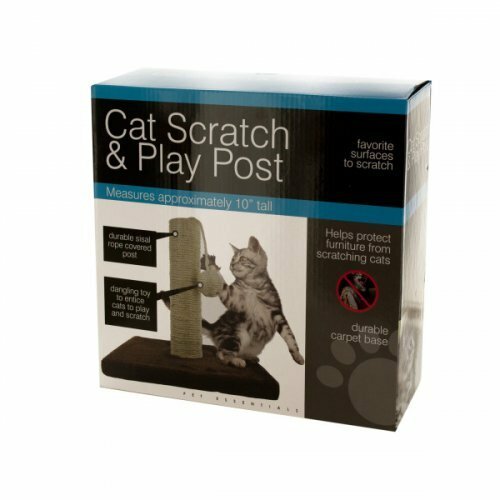 Features a durable sisal rope covered post with a dangling toy to entice cats to play and scratch and a soft carpeted base for comfort. Measures approximately 10" tall with a 9.5" base for added stability. Comes packaged in an individual box.